Data collected in 2015 by the National Center for Education Statistics found that approximately one out of every five K-12 students reported being bullied. Although this number has dropped, far too many children still experience bullying in school and beyond everyday. Whether you’re a parent, educator or student, learn more about bullying, how to recognize it, and get expert advice on how to address and prevent it. 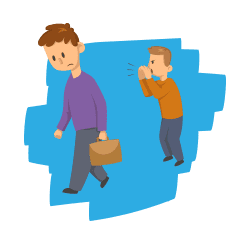 As defined by the American Psychological Association, bullying is a type of aggressive behavior that takes place when an individual intentionally causes someone else discomfort on repeated occasions. People can experience bullying at any stage of life, but it most commonly happens among school-aged children. Students may begin exhibiting bullying behavior as early as preschool and kindergarten; if left unchecked, the behaviors tend to escalate and increase as they grow older. Bullying can happen anywhere, but the highest occurrences tend to be places where there are lots of children and less adult supervision -- for example, the playground, lunchroom, bathroom, bus or other areas where there is less structure. The bus is a prime example, as drivers have limited ability to observe children and condemn acts of bullying. This is also the reason cyberbullying is an increasing problem -- it can be difficult to monitor and supervise children when they’re online. Bullying can happen for a variety of reasons and it can happen for different reasons depending on the child who is bullying. Some children who bully may lack parental attention and guidance while others may want to feel powerful or popular and see bullying as the way to achieve that. Others may have been bullied themselves (either at school or at home) and see bullying as a way to regain control and feel empowered. While some children are naturally more assertive and dominating, these personality traits do not always result in bullying behavior. Bullying is often a learned behavior rooted in aggression. Rather than addressing the symptoms, parents and educational staff must get to the root problem in order to change these negative behaviors. Bullying can happen at any age and at any time. At the primary and secondary school levels, bullying most frequently happens in between classes, on the playground, on the bus, or online. At the college level, it can happen between classes, in dormitories, in labs, and online. Unfortunately, bullying can happen anywhere: In public or private settings, in school, on the playground, in the home or office. ... Bullying can manifest in many ways, but from a psychological perspective the main symptoms are: increased anxiety, depression, insomnia, heightened vigilance, persistent fear of re-experiencing the bullying and sharpened sensitivity to feeling or seeing others bullied. Signs of aggressive behavior can start in preschool and continue far into adulthood if left unaddressed. The American Academy of Pediatrics found that 26 percent of 10-12 years olds were bullied, while reports by Stop Bullying suggest that 28 percent of students in grades 6-12 and 20 percent in grades 9-12 reported being bullied. An academic study on 2,118 freshman college students found that 43 percent of students indicated they had been bullied in school. Realistically, bullying can happen to anyone, but a perceived power imbalance often plays a significant role in bullying, as children seeking control look for fellow students who may seem weak or inferior and therefore easy to bully. Students who are less popular or those who seem different may be more likely to experience bullying than others. LGBTQ youth also face additional risks of being bullied, as demonstrated by a 2017 study by the Centers for Disease Control and Prevention. Approximately 33 percent of these students reported being bullied at school, compared to 17 percent of learners identifying as heterosexual. Bullying can take several different forms depending on the student who is bullying. While physical and verbal bullying are frequently recognized as the most common forms, parents and teachers must be aware of the other types so they know what signs to look for. Physical bullying involves physical contact with another person and/or their possessions. Some examples of such behavior include hitting, kicking, pinching, spitting, tripping or pushing another person. It can also include taking and destroying someone else’s possessions or making inappropriate or mean hand gestures. Verbal bullying is defined as any words used to cause pain, harm or embarrassment. Some examples include name-calling, disrespectful comments about someone’s attributes, making inappropriate or sexual comments, teasing or taunting especially in front of a group, or making a threat. Relational bullying, or social bullying, is all about preventing someone from joining or being a part of a group or community. 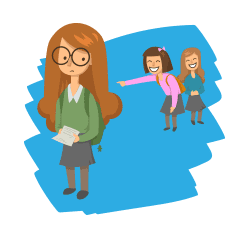 This type of bullying focuses primarily on ostracism through tactics such as spreading rumors, causing public embarrassment, or telling falsities behind someone’s back. Due to the growth of technology, social media, and the internet, cyberbullying has increased significantly over the past decade. According to the Pew Research Center, approximately six out of every 10 U.S. teenagers report being bullied on digital platforms. Cyberbullying is acts of meanness or cruelty that happen over digital devices and online. It is similar to verbal bullying but the difference is that it does not take place face-to-face. Other differences are that the person who is bullying can sometimes be anonymous or unknown, it can happen more frequently and at any time, and harmful comments and content can be circulated to a larger audience more quickly. 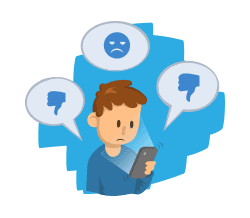 Some of the most common places for cyberbullying to occur include text messages and similar chat apps, social media (Facebook, Instagram, Snapchat, Twitter), online forums and chat rooms, live streaming videogame platforms, and emails. A few examples include sending harassing text messages or emails, spreading rumors on social media or email, and posting embarrassing or harmful pictures, videos, websites or fake profiles. When looking at the psychology of bullying, kids can play one of six roles. When reviewing these, readers may notice that the majority of roles empower or support the person who is bullying. Kids who come to the defense of those being bullied play an important role in teaching others that aggressive behavior will not be tolerated. The most common role in bullying, the kid who bullies takes out their aggression on others – often in physical or verbal ways. These students may have a behavioral disorder, could be experiencing problems in their home and family life, or may be mimicking behavior they think is “cool.” Whatever the reason, these students do and/or say things that hurt or embarrass another student. At the opposite end is the kid who is bullied. This student may be perceived as different from their peers, less popular, of a different socioeconomic background or may be seen as weak in other ways by the kid who bullies. While they may not act as the main protagonist, kids who assist in bullying behaviors empower and encourage kids who bully to treat others unfairly. They may elevate the situation, draw other students in, or join the kid who is bullying in inflicting pain and embarrassment. Similar to the kid who assists, the kid who reinforces often creates an audience. They encourage the kid who bullies by laughing or cheering on their behavior, reinforcing the idea that bullying is acceptable or even cool. Operating in a neutral position, bystanders do not directly encourage the kid who bullies or come to the aid of the kid being bullied. However, being present and watching without saying anything can still encourage the kid who bullies and reinforce aggressive behaviors. As the name implies, the kid who defends comes to the aid of the kid being bullied. They may break up a fight, diffuse tensions, bring an adult into the situation, or otherwise do something that helps end the bullying and support the kid who is bullied. If you suspect that your child or one of your child’s friends is being bullied, several signs might signal mistreatment at school or elsewhere. These can range in terms of severity depending on the child’s emotions and how much they are being bullied. If your child exhibits any of the following warning signs, talk with them to find out more information and better understand the potential situation. Withdrawal: Withdrawal can be one of the most notable symptoms of bullying, and may be discernible early on. Students being bullied may pull away from social settings and even their friends and families. Withdrawal may be one of the earliest signs that something is wrong within a child’s life, whether it’s in school or online. 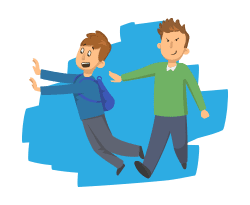 Reluctance to go to school: Much of the bullying that takes place happens at school and even if it is solely online a child may be scared they’ll run into the person bullying them while on school grounds, so reluctance to go there can be a warning sign. Students may say they are sick, ask the nurse to arrange an early pick up, or make up other excuses to stay home. Reports suggest that this most commonly happens on Mondays, as students feel safe at home during the weekend and dread returning to school. Sudden decreased self esteem: If your child normally seems confident in their abilities, a sudden shift into doubting or questioning behavior could be a sign that there is something wrong. Bullies chip away at kids’ confidence by saying mean things to them or making them feel inferior to their peers. With enough repetition, those who are bullied may start to believe those things and begin to doubt themselves or feel insecure. Trouble sleeping: Children who feel nervous or anxious about what may happen at school the next day (e.g. that they will be bullied) may struggle to fall and/or stay asleep. They may not be able to shut their brains off at bedtime due to thinking about what could happen tomorrow or due to reliving what happened earlier that day. They may also have bad dreams that cause them to wake frequently. Drastic shifts in use of technology: Significant changes in the use of the internet or digital devices could signal issues with traditional bullying or cyberbullying. For example, children who suddenly seem dependent on their devices may feel alone at school due to aggressive students, while those who suddenly take no interest in them may be receiving threatening or otherwise hurtful messages and are trying to avoid them. Shift in friendships: If a child has maintained a similar group of friends but suddenly shifts away from them for no clear reason, it could be a sign that one or more of the kids in the group has started to bully them or a new person has entered the group that exhibits bullying behavior. Children may talk about sitting at different lunch tables or feeling alone at school. Most of the time, parents tend to watch for signs that their child is being bullied, but being aware of and watching for signs of bullying others is equally important. The following warning signs should be addressed immediately to help curb bullying and teach kids that this type of behavior is not acceptable. Increased aggressive behavior: After seeing that bullying others gives them with power and control, kids who bully often exhibit increased aggressive behavior and may start to test what else they can get away with. This type of behavior can be exhibited towards parents or other children they come in contact with. Has unexplained extra money or new possessions: If your child comes home with new possessions that they cannot explain, or they seem to have extra money, this could be a sign that they are intimidating other students into giving them their belongings. Ask the child where they got these things to see if they can provide a good explanation. Lacks empathy: Children with underdeveloped senses of empathy are often exhibit bullying behaviors because they do not understand how pain and suffering affect other people. If they constantly laugh at others who are hurt or upset on a television program or in person, they may lack the empathy necessary to refrain from bullying others. Feels an excessive need to be popular: If it seems your child is suddenly obsessed with the idea of being popular, this could be an early sign of bullying. Kids who bully are often encouraged and supported in their behaviors by others, which can make them feel popular and liked. Though it may not always be the case, some kids who prioritize being liked or popular may treat others poorly to gain a higher status. Hangs out with other aggressive children: Students with a tendency to bully often hang out with other aggressive children as it helps solidify their power and makes them feel in control. Even if you haven’t noticed any warning signs in your child, pay close attention to how their friends behave. If most seem mean-spirited or aggressive, it could be a sign that your child has fallen in with the wrong group. Suddenly spends more time on devices: Students engaged in cyberbullying often spend extra time on their computers or devices, harnessing the internet to hurt someone else. They may also be secretive about which apps and tools they are using by suddenly closing the device whenever a parent or adult comes around. Can You Identify Bullying Behavior? Hurting another student on purpose is bullying behavior. True or false? Answer: True. This is bullying behavior. Stealing or demolishing someone else’s personal property is bullying behavior. True or false? Leaving out a fellow student from an activity or group on purpose is bullying behavior. True or false? Being known as threatening or scary indicates bullying behavior. True or false? Making rude comments about someone’s appearance, ability level, gender or race is bullying behavior. True or false? Using social media or other technology to post mean comments or start rumors is bullying behavior. True or false? Enjoying the act of making others upset is bullying behavior. True or false? Feeling cooler or more popular when your friends see you treating someone else poorly indicates bullying behavior. True or false? Bullying can take on many forms and levels of aggression, so it’s best to have a few options when it comes to diffusing the situation. If you’re able to safely handle the situation on your own, try to do so. 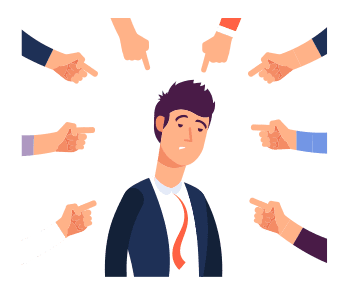 The crux of many bullying actions depend on the person being bullied reacting to the taunting, so one option is to ignore behavior or to show that you are not affected by it. According to Stomp Out Bullying, the most important thing is to maintain your own levels of anger. If someone who is bullying sees that you’re not affected, they can lose their sense of power. If the person bullying you doesn’t respond well, or if you don’t feel like you can handle the situation alone, talk to someone else or ask a school leader to help. Whether it is a teacher, guidance counselor, or school psychologist, these professionals can provide guidance and support for everyone involved. What should I do if I see someone being bullied? Don’t give a person who is bullying what they want -- an audience. Rather than standing and watching, walk away and go get help. You can also encourage others to do the same. Keep the rumors at bay. If you hear something about someone that isn’t true or is harmful, do not repeat the message. Be an advocate. Unless the situation feels unsafe, in which case you should get a school leader, try to defend the person being attacked or get the person who is bullying to think twice about their hurtful behavior. Tell an adult. Especially when still in school, kids who bully will often be scared of an adult finding out about their behavior and getting in trouble. If you are worried this person will find out who told, let the adult know and ask them to keep the conversation private. Encourage the person who is being bullied to speak with an adult. Often those who are bullied can feel like it’s somehow their fault. Let them know that it is not and encourage them to talk to a school counselor. Offer support. Showing you care can mean more than you know. Even if you aren’t close to the person being bullied, try to establish a friendship or show kindness. It can go a long way. If you know your child is being bullied, the first step is to make them feel safe and heard. Do not ask if they did something to cause the attention or call the other person involved a bad child. Instead, listen without judgment and try to learn as much as you can about the situation. Next, try to make your child feel empowered: Ask them if they are able to handle the situation and help them think of possible ways to solve the problem on their own terms. Based on how your child feels about this suggestion, you’ll have a better sense of how serious the bullying may be. If your child is scared to confront the person who is bullying them, that could be a sign that the behavior is severe. In this case, contact school officials. Meet with your child’s teacher or speak with the principal about the situation. If there is threat of violent behavior, it’s imperative to bring in school officials and alert the police immediately. Once a threat of violence or criminal behavior has been mentioned, it’s a case for the police. Recognizing the signs early on and talking about it openly with your child can diffuse many situations before they reach a more serious level. While there are no federal laws that relate specifically to bullying, all states have policies in place and 41 have both policies and laws enacted to prevent or address bullying. Stop Bullying provides an interactive map of state-specific measures to better understand your child’s rights. In addition to governmental measures, all states are required to have a written anti-bully policy to both dissuade aggressive behavior and provide recourse if a bullying incident occurs. While these policies can help rectify non-violent instances, once a student has been threatened, it’s important to involve law enforcement. Depending on the level of bullying, some of the charges that could be made include threatening behavior, indecent assault, criminal offense of assault, or negligence. Dr. Michaelis is a clinical psychologist in full-time private practice in Manhattan and a visiting scholar at Columbia University. He writes and speaks regularly about mental health, creativity, spirituality and motivation, and he is a popular blogger on Huffington Post and Psychology Today and a frequent guest on the Today show and Fox News. 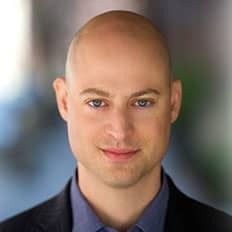 Dr. Michaelis is the author of “Your Next Big Thing: 10 Small Steps to Get Moving and Get Happy”. You can get the 1st chapter of his book for free at his website. Where can bullying happen and who does it happen to? Are there certain populations more prone to be bullied than others? Unfortunately, bullying can happen anywhere: In public or private settings, in school, on the playground, in the home or office. The people who tend to be targeted are more likely to have something unique about them. This is often something physical, because these things tend to be easier to see, and thus easier for bullies to seize upon. Although it does not necessary have to be physical. People with more unusual names or with different accents or different life circumstances are also often targeted. What types of issues can bullying cause? How does it manifest in those being bullied? The psychological scars of bullying can last decades. I have a man in my practice now that is in his 50s, brilliant and successful by most measures but he is still plagued by the bullying he endured as a child. Bullying can manifest in many ways, but from a psychological perspective the main symptoms are: increased anxiety, depression, insomnia, heightened vigilance, persistent fear of re-experiencing the bullying and sharpened sensitivity to feeling or seeing others bullied. What can students do if they are being bullied, and how can parents help their children? The key thing that students need to do is to tell someone. The biggest advantage of bullies is the silence of their targets. If students tell their teachers or even other students then something can be done. Parents who want to help should assess the best channels of communication in their particular situation. Sometimes when parents intervene directly it can actually make things worse, so it may mean developing a unique strategy with your own child depending on the circumstances. Aside from traditional physical bullying, what other forms can it take? Emotional or psychological bullying can be even more damaging than physical bullying. With physical bullying at least you know when it is happening, other forms of can be more nefarious because they are happening when you don't even know it. What form can bullying take on in later years, such as college or the workplace? In college and the workplace bullying can take on other forms such as coercion -- forcing someone to do something that they don't want to do under threat of firing, lowered pay or denial of bonus or threats to one's professional reputation. How can schools help prevent bullying? The data suggests that bullying takes place when it is tolerated in a given culture. When schools provide the message that bullying will not be tolerated and they make it clear that there are consequences to bullying it tends to trickle down to the students. Bullies Out: Provides an overview of the traumatic effects bullying can cause. Stomp Out Bullying: Reviews the effects of bullying and what victims can experience. uKnowKids: A look at the long-term effects of bullying on the victim. Girls Health: Why do some girls get bullied? Mental Health America: What do I do if I’m being bullied? Empowering Parents: My Child is Child is Being Bullied -- What Should I Do? Dr. Michaelis is a clinical psychologist in full-time private practice in Manhattan and a visiting scholar at Columbia University. He writes and speaks regularly about mental health, creativity, spirituality and motivation, and he is a popular blogger on Huffington Post and Psychology Today and a frequent guest on the Today show and Fox News. Dr. Michaelis is the author of Your Next Big Thing: 10 Small Steps to Get Moving and Get Happy. You can get the 1st chapter of his book for free at his website. You can also find him on Facebook (drbenmichaelis) and Twitter @DrBenMichaelis.